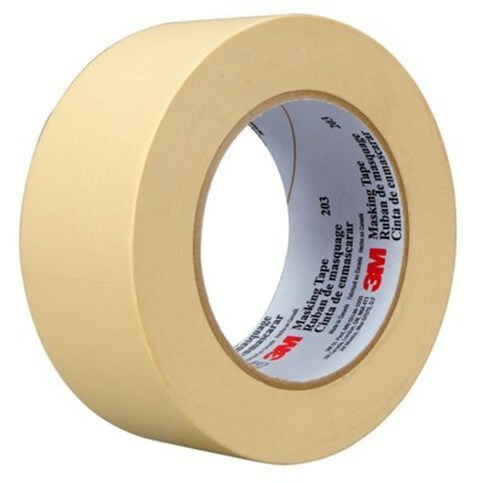 Features: 3M Carpenters and Painters Masking Tape from the company that gave the world its first masking tape in 1925 | 3M is the world's leading tape manufacturer with more than 20 grades of masking tape in its product range | Every roll of 3M masking tape comes with 3M brand promise and guaranteed length. Stronghold Packaging is a fast expanding company offering Export Quality and Import Substituting packaging materials like BOPP film and tapes, PVC film and tapes, colour and printed tapes, metallized and matt films and plastic packing patti. We are among the leading manufacturer, stockist and exporter of multiple packaging materials. We practice modern management practices which help us in maintaining high quality standards and reducing costs. We understand your need for quality packaging and hence we make sure that our products are tested and you get a suitable packaging for your valued product. The products are widely appreciated among our precious customers for their perfect finish and reliability.